Mr Sohail Nisar, Chairman Pak-Korea Business Council of FPCCI convened the First Meeting of the Council which was graced by Mr. Chang-Hee Lee, Consul General of Republic of Korea in Karachi. Haji Fazal Kadir Sheerani, President FPCCI in his welcome address emphasized the need for more interaction between the Business Communities of two countries. He also stressed upon that opportunities for joint ventures that exist in many fields including alternate energy, agriculture, engineering sectors, food processing, technical and technological collaborations etc. He also suggested frequent exchange of trade delegations, promotion of new products by organizing exhibitions, conducting joint study to find new products for bilateral trade, and to remove hurdles that impede the bilateral trade between Pakistan and South Korea. Mr Sohail Nisar, Chairman Pak-Korea Business Council mentioned that Korea has demand for at least 20,000 tons of mango, which is currently being met through imports from a few countries. But the delicious, aromatic and different varieties of mangoes grown in Pakistan have no parallel. He said despite a 30% duty on mango imports, the Pakistani fruit could have a good demand in the Korean market. He, however, called for swift processing of mango at the existing facilities. Members of the Council informed the Consul General about the difficulties being faced by them in the process of obtaining visas, despite the fact that they have visited Korea several times for business purpose. The President FPCCI suggested establishing a special window at the Consulate General of Korea in Karachi to issue visa to the genuine businessmen on the recommendation of FPCCI. 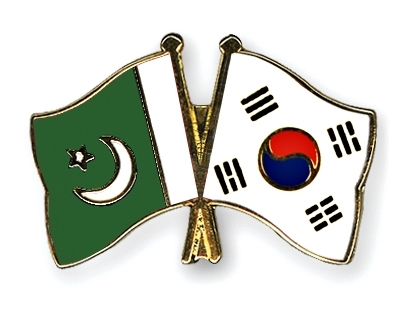 The Consul General was also informed that Pakistan-Korea JBC meeting is due for last six years and sought his cooperation in holding it at the earliest so that the two sides could take a fresh look at the opportunities and challenges before them in order to achieve comprehensive development and foster greater collaboration. Mr. Chang-Hee Lee, Consul General of Republic of Korea in Karachi thanked the FPCCI for inviting him. He informed that Korea is the 12th largest economy in the world and 4th largest in Asia. He said Pakistan and South Korea have a lot in common, be it socio politics or cultural aspects and enjoy a much deeply enrooted friendly and mutually co-operative relations since more than six decade. He said it was encouraging for him to witness the presence of big Korean Corporations in Pakistan, like Samsung, LG, Lotte, Ssangyong, POSCO, Daewoo and establishing relationship with Pakistani business community. Mr. Chang-Hee Lee said the problems faced by Pakistani businessmen are regrettable and he would take up the matter with the Authority in Korea for rectification.